It’s amazing how the same Dulux colour can look completely different depending on the light that’s shining on it. The way a room faces, the time of day and whether the light is natural or artificial all play a huge part in how a Dulux colour will look on your wall. If you’ve just moved into a new home and are pondering which colours to paint with, take a look at this handy guide to choosing the right Dulux paint for the right light. Why not take advantage of the natural light and go for pale tones that will bounce light back into the room, creating a bright, airy feel? Golden hues will add to the sun-kissed effect, while light blues will give you a cool, calming colour scheme. That said, bold, rich hues will look wonderfully vibrant in this sort of light. If you’re worried about picking the right shade, get a sneak preview of how it will look on your walls with our Dulux Visualizer app. 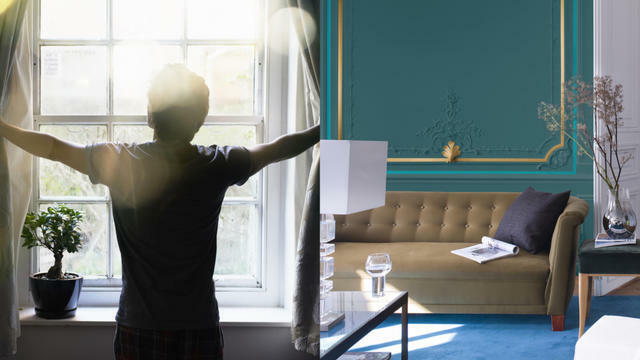 To make the most of your room at all times of day, paint the walls in a pale blue or green Dulux colour – the room will come alive in the morning sunshine but will still feel fresh and light in the afternoon. These rooms will generally be cooler in the mornings, then warm up later in the day, so go for sunny yellows to create a bright, welcoming morning space, or cooler shades for a soothing place to relax later in the day. 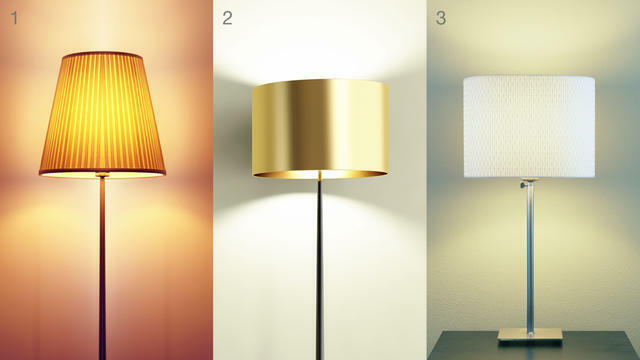 1.Yellow light bulbs and candlelight bring out the best in warm hues like red and orange paint colours. That’s why red is such a popular choice for dining rooms, TV rooms and other spaces that tend to be used in the evening. 2.White light bulbs give off a light that’s closer to daylight, making your colour choices more versatile – you can go as pale or bright as you like and the paint colours will look great. Once you’ve chosen your Dulux colour, test it out in your room by painting it on a piece of A4 paper, or on the wall, to see how it looks at different times of day under different types of light.